What. The Heck. 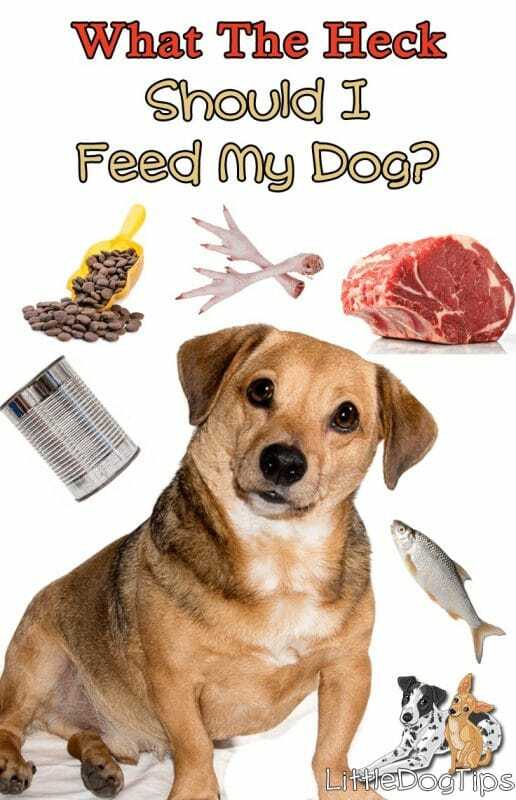 Should I Feed My Dog? 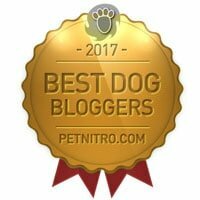 Are you feeling overwhelmed by articles, news clips, and passing advice about what your dog should eat? “If your dog eats that, they will die at an early age and it’ll be all your fault. Feed them this and they’ll live forever,” says that guy at the dog park, your vet selling prescription dog food, that online vet selling supplements, that commercial with the wolf, and, well, even me. Here’s a not-so-quick rundown of your options, the pros and cons of each, and some tips for making sure your head doesn’t explode every time you need to restock your dog’s food supply. 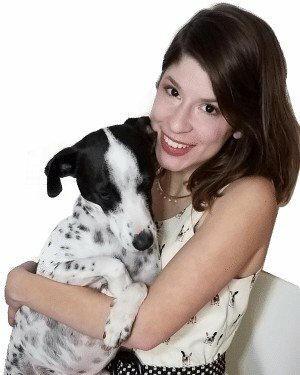 When Matilda was a puppy, I heard that grain-free foods were better, so that’s what I chose. I remembered that my childhood dog ate supermarket foods that contained corn and rice, and he was itchy and prone to ear infections. But a grain-free food wouldn’t have made my childhood dog feel better. Grain-free foods may not contain corn, wheat or rice, but they do contain some kind of starchy ingredient like peas, potatoes or tapioca. Starch breaks down into sugar, which feeds the yeast that causes itchy skin and ear infections. Some grain-free kibbles contain more meat and less starch than grain-inclusive kibbles, but this is not automatically the case. At about two years old, my dog Cow became red and itchy all over, lost a lot of fur on her belly and chest. She had been eating a grain-free kibble that contained chicken, turkey and peas. So, it wasn’t grains that caused her health issues. It was probably chicken. Dogs actually tend to be allergic to the protein source in their food, though they can also be allergic to other ingredients. The most common food allergies in dogs are chicken, beef, pork, soy, corn and wheat, not necessarily in that order. I am in a lot of dog nutrition groups on Facebook. Some discuss raw feeding, others discuss all types of dog food. I’ve noticed that some people have dogs that seem healthier on grain-inclusive kibbles, while others thrive on grain-free formulas. Some people even say that their dogs thrive with more fillers and less protein. Currently, the FDA is investigating a possible link between grain-free dog food and dilated cardiomyopathy (DCM) related to low taurine levels. Nobody understands yet why the foods, which contain exotic meats, potatoes, peas, or lentils, are causing dogs to have taurine deficiencies. It’s tough to choose a good kibble. There’s just not much information on the bag. Heavy marketing with photos of wolves, raw meat and veggies, plus mentions of “raw” when the foods contain a small portion of freeze-dried meat dust – all make shopping incredibly difficult for dog owners like us. I don’t know how to choose the best kibble. 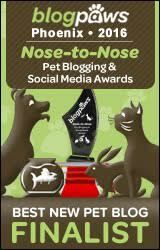 I’m continuing to learn to help you make the best possible decisions for your dog. In the meantime, rotate your dog’s food. Try different flavors and different brands if your dog can handle it. Add fresh meat and veggies to your dog’s bowl. Varying your dog’s diet lessens the chance they’ll develop allergies or suffer deficiencies, and helps keep their stomach strong enough to handle dietary changes. Loose, soft-serve stools – your dog’s poop should be firm and turn white within 48 hours of being unloaded. These are issues that you can take up with your veterinarian. However, veterinarians are not nutritionists, and may not link your dog’s health issues to their food. They may recommend ways to treat symptoms without resolving underlying causes. You should definitely pick up those ear infection meds for now – but look at your dog’s diet if they keep coming back. Many dog foods contain colorful pieces, not unlike a children’s breakfast cereal. Dogs are red-green colorblind and only see a limited range of blues and yellows, so these bright colors are doing nothing to pique their interest. The meaty reds and vibrant greens are meant to simulate “meat and veggies” that may only make up a small percentage of the food’s contents. Foods can be dyed with healthy ingredients like turmeric. There’s even a high-end dog food, Sparkle Dog Food, that has pink pieces, colored with beets. But other dog foods tend to have the same artificial dyes that the FDA permits for use in human foods. The problem with that is, some artificial dyes that the FDA previously allowed have now been banned. Some that are currently legal are being researched for possible links to health issues in children. Artificial food dyes are banned entirely in the UK. So, as a rule of thumb, steer clear of colorful foods. Wacky colors are a hallmark of foods formulated to be cheap and eye-catching – not good for our pets. Yes, I know what you’re thinking. Salmonella and listeria. These pathogens are all present in raw meat. You can get sick from raw dog food. It has happened before, typically to children who were trusted with the responsibility of feeding the family dog. If you wash your raw dog food prep area, bowls, containers, and of course, your hands, your chances of getting sick from handling raw dog food is no greater than the risk of getting sick when preparing meat for your family dinner. Dogs have a short digestive system with an acidic stomach that keeps bacteria from overgrowing in their digestive system. So, it’s very unlikely for a healthy dog to be affected by these pathogens. Dogs shed pathogens in their feces, regardless of whether they eat kibble or raw. Raw-fed dog poop contains more bacteria. As always, wash your hands after picking up poop and you should be fine. Dogs can choke on raw meaty bones. Some have died. But dogs die from choking on things all the time. They die from choking on pieces of nylon bones, plastic toys, stuffing from plush toys, rawhide bones, pieces of coat hangers… and I’ve even heard of a dog dying from choking on ground meat. Dogs choke. Matilda has choked on boneless chunks of meat as well as raw meaty bones. She gulps her food. It’s scary to see her struggle to bring up something caught in her throat, but it comes up when I pick up her hind legs and pat her back. She hasn’t choked since I now only give her ground bone-in meat, frozen raw meaty bones, or large bones that she can only chip away at, that I take away when they are smaller than her head. Raw diets can be unbalanced, leading to nutrient deficiencies. You may need to work with a holistic veterinarian to make sure your homemade raw diet is complete. Commercial raw food can contain all of the vitamins and minerals needed to meet AAFCO standards, though some are labelled “for supplemental feeding only.” You can also feed kibble occasionally to help fill the gaps. It’s possible to calculate the nutrients in your dog’s diet against NRC requirements. It’s complicated and I don’t know how to do it. I’ll report back if I ever figure it out. Matilda and Cow eat ground beef, turkey, pork and sometimes other proteins. I blend fruits and veggies like blueberries, carrots, kale, spinach, and apples to make them easy to digest. I also blend organ meats like liver, kidney and brains, and I add this organ-veggie slush to the ground meat. I also add canned, low-sodium sardines and oysters packed in water to the mixture, plus duck or quail eggs. Some of the ground meat is bone-in, I currently get it mainly from Top Quality Dog Food, a local raw dog food supplier. Some of the ground meat is boneless, so I give raw meaty bones like duck feet, wings and heads for Cow and quail, chicken necks and duck feet for Matilda on those days to ensure the dogs get enough calcium. They get a few kibble or canned dog food meals each week, and I often use kibble as bite-sized rewards for training. 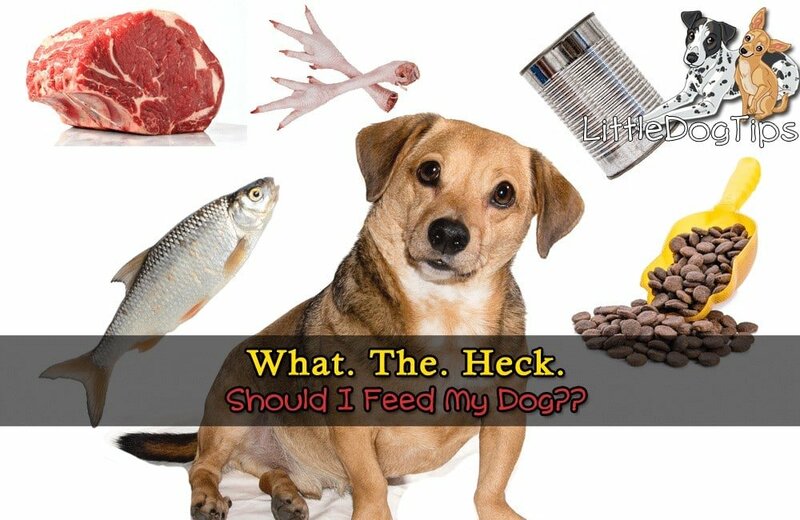 What The Heck Should Your Dog Eat? On the standpoint of what I’d feel good about recommending – to help make it as easy as possible for you – I’d recommend feeding both commercial foods and fresh ingredients. Feed the best kibble or canned food you can afford, that your dog seems to like, that does not cause any adverse reactions. Add raw meat, canned or cooked fish, eggs, fruits and veggies as often as possible. Always supervise your dog when they eat raw meaty bones. Now, go eat an apple. Take a nap. Do your squats. Don’t get so consumed by your dog’s diet that you forget to take care of yourself, too. Can My Dog Have The Thanksgiving Turkey Neck And Giblets? Do Dogs Need Vegetables In A Raw Diet Or Added To Kibble? This is the first article on this subject that has been completely clear. Thanks! Excellent post. There’s so much advice out there about feeding your dog that it can be overwhelming. This post really helps clarify things. Love the article. I think the pictures really tell all.